Gold and silver futures were little changed Tuesday in another session of thinned trading activity. Gold, in fact, was almost flat. Gold for February delivery slipped 30 cents to settle at $1,068 an ounce on the Comex division of the New York Mercantile Exchange. The yellow metal has dropped 9.8% this year. "Prices spent most of the year under significant pressure, shrugging off geopolitical risks and was met face-to-face with the first interest rate hike in 9 years along with an unprecedented move in the dollar," Phil Streible, a senior market strategist at RJO Futures in Chicago, said in a telephone interview according to Bloomberg News. "I do think the recovery is still limited." 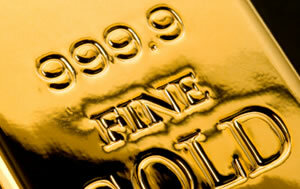 Gold prices traded from a low of $1,066.70 to a high of $1,074.60. They declined $7.60 or 0.7% on Monday. Silver for March delivery added 4.4 cents, or 0.3%, to settle at $13.928 an ounce. Silver prices ranged from $13.90 to $14.06. They tumbled 3.4% in the previous session. April platinum added $9.60, or 1.1%, to $892.20 an ounce, trading between $880.50 and $895.70. Palladium for March delivery added $4.40, or 0.8%, to $556.35 an ounce, ranging from $550.55 to $559.10. Gold fell $1.80, or 0.2%, to $1,070.10 an ounce. Silver fell 27 cents, or 1.9%, to $13.93 an ounce. United States Mint bullion sales were unchanged as of 3:07 PM ET. Below is a sales breakdown of U.S. Mint bullion products with columns listing the number of bullion coins sold last week, last month, in December and the year to date. Products with an asterisk (*) have sold out.